In recent years, the cappuccino has spread from Europe and Australia to North America and beyond. Today, cappuccinos can be bought in Japan, Hong Kong, Thailand, and many other unexpected places. So what is it about this drink that has made it so beloved around the world? Where and how did the cappuccino originate? And what are some of the major variations on the drink that exist around the world? Learn all this and more about the world-renowned cappuccino. A well-made cappuccino has incredible flavor and texture. It has a bold coffee taste and some sweetness from the naturally occurring lactose sugar in milk. It may also be flavored with sugar, with flavored simple syrups, and other additives (although this is not traditional). A great cappuccino takes a little skill to make, so for those who haven't tried one they like yet, give it another chance with a different barista. The cappuccino has only become popular in the US over the last 25 years or so. As a result, some people have assumed they are a novel drink. However, the cappuccino dates back hundreds of years and has long been enjoyed in Italy and elsewhere. In Italy, cappuccinos (or cappuccini, as the plural for "cappuccino", is called there) are incredibly popular. They are typically drunk early in the day as a drink to enjoy with breakfast (often with a sweet pastry) or as a sort of mid-morning pick-me-up. (Whereas Americans often drink cappuccinos throughout the day and enjoy them as an after-dinner drink, continental Europeans traditionally drank them in the morning.) Most Italians find the idea of drinking them after dinner to be distasteful and unhealthy and prefer to drink espresso later in the day instead. 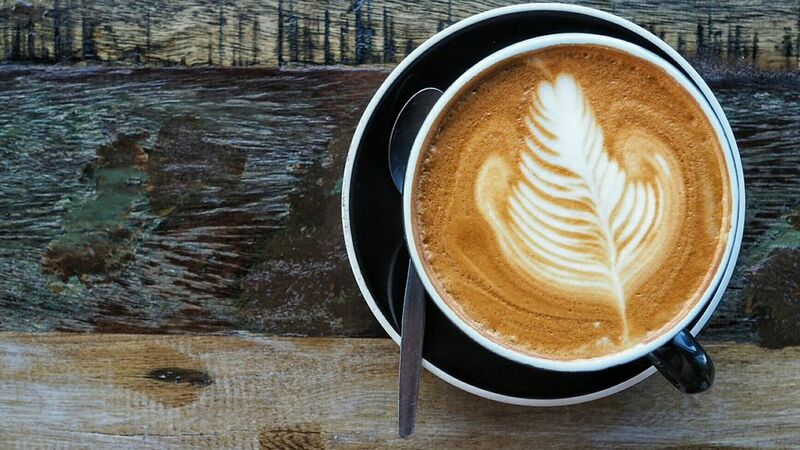 Cappuccinos may be consumed at home or in cafes or coffee bars. Real Italian cappuccinos are made with espresso machines and require some skill to make. In Italy, they are prepared by a barista (plural: baristi). First, the barista will pull an espresso shot. Then, he or she will prepare the milk. Espresso machines often have steam wand attachments which can be used to steam and froth the milk. Pressurized steam shoots out of the wands and into a small, metal cup of milk, giving the milk an abundance of tiny bubbles, plenty of heat, and a much larger volume than before. (A quick frothing can give milk double its original volume.) The milk becomes light, airy, and much more flavorful and luscious when it is prepared well. The milk is then layered over the espresso in a pre-heated cup and served. As the cappuccino spread from Italy to the rest of the world, the meaning of the word changed. Its popularity led many convenience stores and coffee shops to serve their own versions of cappuccinos, which are often only vaguely related to a real, Italian cappuccino. These "cappuccinos" usually involve a dispensing machine that can also mix hot chocolate and other hot drinks. They usually used brewed coffee rather than espresso or, worse yet, whip a powdered espresso-milk mixture into a "cappuccino". Yikes! That said, there are many coffee companies taking great strides to make more authentic cappuccinos abroad, and the quality of cappuccinos abroad has improved vastly in the last decade. The sizes and serving vessels for cappuccinos vary from place to place. Italian cappuccino is traditionally served in 150 to 180 ml (5 to 6 fluid ounce) cups. In the last ten years or so, fast-food chains and coffeehouse chains started serving cappuccinos in sizes up to 600 ml / 20 fluid ounces. The popularity and widespread drinking of the cappuccino have led to many variations on its basic recipe. Iced cappuccinos or cappuccini freddo are a cold version of the hot cappuccino. In Italy, this drink has cold, frothed milk added to the top. In America, it is often an iced (or iced, blended) beverage. Wet cappuccinos (also known as cappuccini chiaro or light cappuccinos) are made with more hot milk and less foamed milk. They are creamier and more diluted in taste traditional cappuccinos, much like a caffe latte with a little foam on top. Dry cappuccinos (also known as cappuccini scurro or dark cappuccinos) have less milk than the other cappuccinos. There is a little steamed milk mixed in, but there is more foamed milk layered on top of the drink. The taste of the espresso is stronger in this drink, and the liquid part of the drink is darker in color than it is in a traditional cappuccino. The milky foam on top of the drink insulates the drink, keeping it hotter longer. Flavored cappuccinos are very popular in the United States. Typically, flavored simple syrups are used to add the flavor of your choice. Popular flavors include vanilla, chocolate, caramel, peppermint, raspberry, and cinnamon. Sometimes, other additives (such as powdered cinnamon or cocoa, or drizzled caramel or chocolate sauce) are also added on top of the cappuccino's foam.